Just Cause 4 - PC Games Trainer and Cheat Codes. Just Cause 4 is an action-adventure game developed by Avalanche Studios and published by Square Enix. It is the fourth game in the Just Cause series and the sequel to 2015's Just Cause 3 and was released for Microsoft Windows, PlayStation 4, and Xbox One on December 4, 2018. Just Cause 4 is a third-person action-adventure game set in an open world environment. The player assumes the role of series protagonist Rico Rodriguez. Welcome to Solis, a huge South American world home of conflict, oppression and extreme weather conditions. 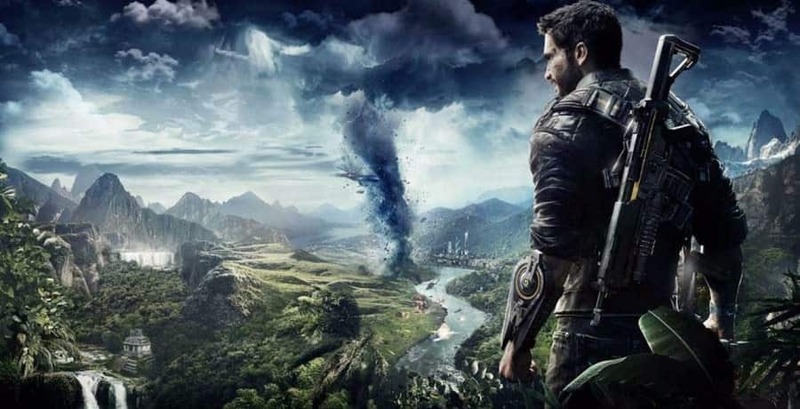 Just Cause 4 sees rogue agent Rico Rodriguez land in Solís to hunt down the truth about his past, at any cost. Strap into your wingsuit, equip your fully customizable grappling hook, and get ready to bring the thunder! Bring The Thunder: Soar through the skies with your wingsuit - Skydive, Base Jump and Free Dive with no limits! Fight your enemies under extreme weather conditions, including towering tornadoes and tropical lightning storms, taking the iconic Just Cause action to insane new heights. Use extreme weather events to your advantage thanks to never seen before in-game physics. Trainer for the game Just Cause 4, you can use it to activate these essential Cheat Codes: Infinite Health, Infinite Ammo, No Reload, Rapid Fire, No Recoil, Infinite Vehicle Nitrous, Super Speed, Slow Motion, One Hit Kill. Note: This cheat tool is for the original version v1.0 (v20190321) of the game!.